Are you unsure on how much artificial grass you may need? Or is your garden an awkward shape? 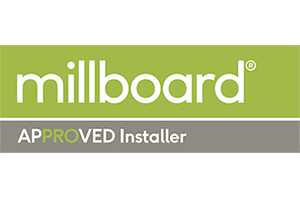 Using the guides below will help you to make a more precise estimate for the amount of artificial grass that is needed. 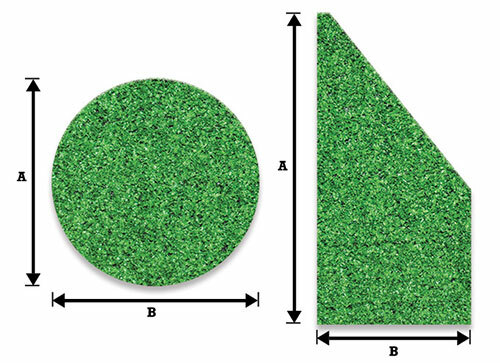 If you have a square or rectangular lawn, it is simple to measure exactly how much artificial grass you will need. Measure the length of your lawn. Measure the width of your lawn. Multiply the two measurements together. So, as shown in the image above. 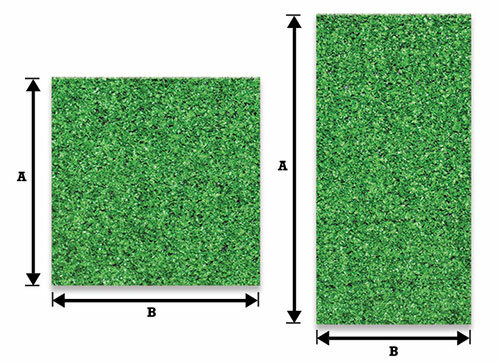 If A was 2m and B was 2m, you would need 4 square metres of artificial grass. Measure the length of the two widest sections of your lawn. Multiplying the measurements will give you the total number of square metres required. We suggest measuring the height and the width as in a square or rectangular lawn. It is best to use a single section of grass, then cut to shape ensuring a perfect angle. We recommend that you break up the l-shaped lawn into two square sections. 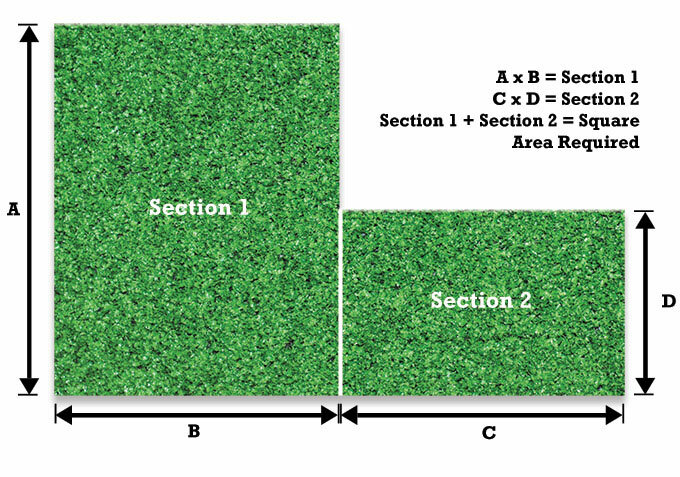 Calculate the square metres of artificial grass needed by using the steps above regarding measuring for a square or rectangular lawn. Do this for both of the squares of your L-shaped lawn. Still struggling? Don’t worry. One of our friendly team from Landscapia is always available to talk to you on the phone. Or why not call us to book an appointment to come and measure for you?